reporting when a hazard, near miss or injury occurs to ensure an investigation is completed and action is taken to eliminate the chance of injury or reoccurrence and to make our workplace safe. Reporting incidents is required under NSW Work Health and Safety legislation. It is the responsibility of the person involved in the incident, or the person who identified the hazard to use the online incident reporting system to report hazards, near misses or injuries. Near misses are events that could have caused an injury but thanks to luck didn't. This system ensures the people responsible receive notification quickly so that an investigation can be completed and action taken to reduce the risk. The Health and Safety Team are also notified so they can follow up and provide assistance when required. There is a range of support available if you have a non-work related illness or injury that impacts on your ability to carry out the inherent requirements of your role. Firstly, talk to your Supervisor about your illness or injury and how it is impacted by the regular work environment or substantive duties. Then contact Sarah Williamson, Health & Safety Advisor, Injury Management for assistance. With your consent, Sarah will liaise with your treatment providers and you to seek feedback regarding restrictions and support that needs to be in place to ensure a safe and sustainable return to work. Where practicable, a Well to Work Plan will be developed to ensure a safe and sustainable return to work. This may include things like working reduced hours for a period of time, aids and equipment. You may also be able to access incapacity benefits from UniSuper, see their webpage for more information or call them directly on 1800 331 685. For conditions that will last for greater than two years external providers, such as the Job Access Employment Assistance Fund, may be engaged to offer further assistance. 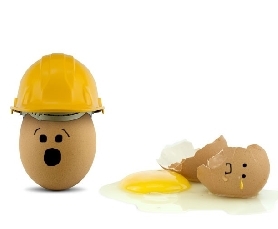 It is important that all injuries, illnesses, hazards and near misses are reported as soon as reasonably possible . If you notice a hazard or are involved in an incident, please inform a member of University staff so they can log a Health and Safety Incident Report on your behalf. Alternatively, contact the Health and Safety Team directly at usafe@newcastle.edu.au or call 4033 9999 and select number 5. Further information about Student Health and Safety can be found here. If you are injured at work it is important to follow our injury management process. This ensures the incident is properly reported and claims processed. We take a risk management approach to keep all staff, students and visitors healthy and safe while on our campuses and facilities.